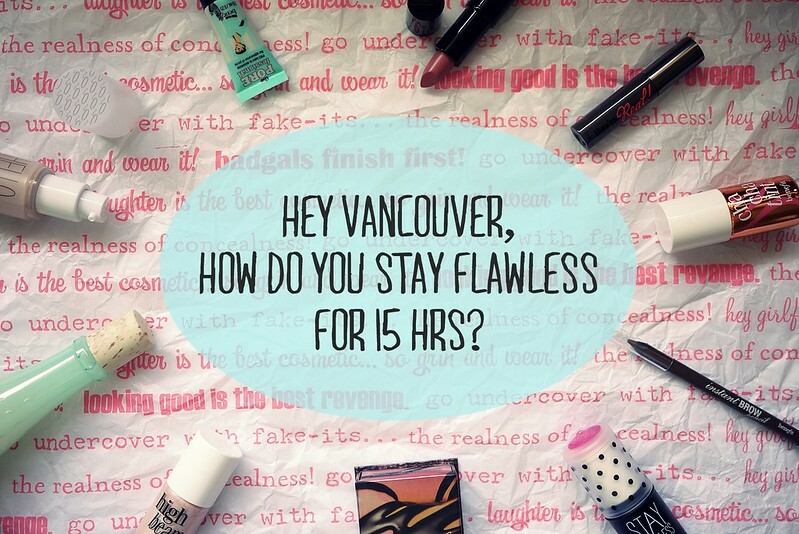 Summer can be the least exciting time to wear base makeup, I admit even I am trying to sneak in a few foundation-less days during the past weeks as the weather suddenly rocketed in Vancouver. It seems like with the passing years we are teetering away from the mild transitional temperatures and plunging into a duality of rain versus sun. But sometimes you've just gotta show up and bring your best face with you so Benefit Cosmetics has devised an easy 1-2-3 plan to get you flawless in a snap. Word on the street has it that the Hello Flawless Oxygen WOW Foundation has been winning some loyal fans with its lightweight texture and brightening coverage. 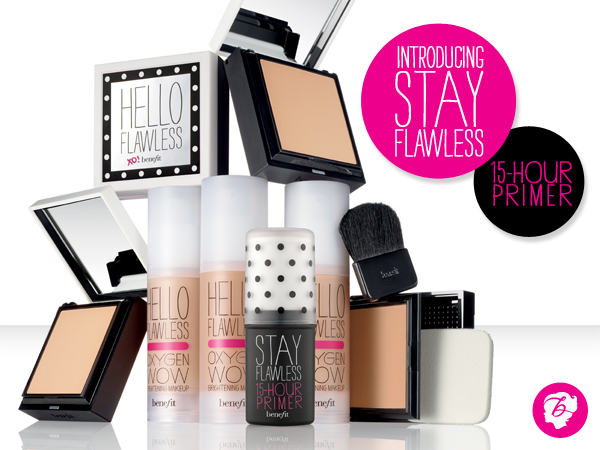 The new launch of the Stay Flawless 15 hr Primer is also causing quite a stir here in Canada with it's unique stick format and cheeky packaging and together with their Hello Flawless Powder Compact, this trio is ready to help you conquer the day. 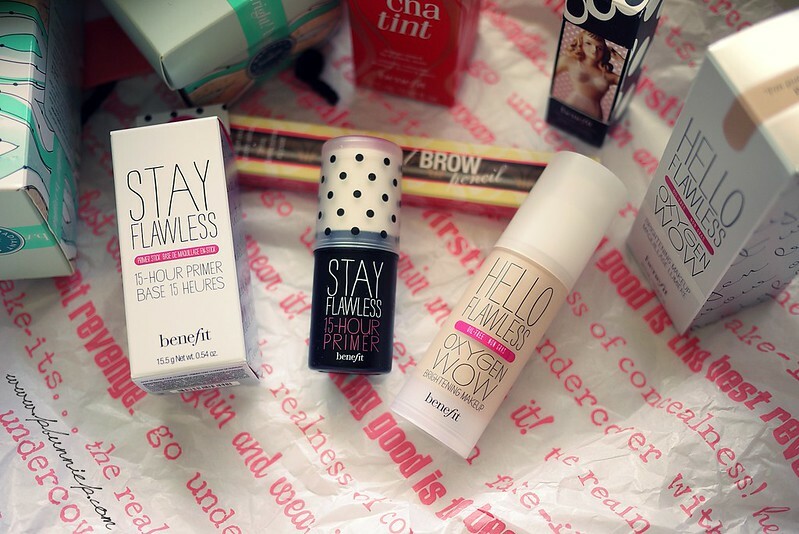 The generous people at Benefit Cosmetics has kindly sent some products my way and I shall be trying out their flawless claims in the upcoming weeks. Maybe I'll even wear this to IMATS Vancouver, I'm sure that's going to be a very long day indeed. 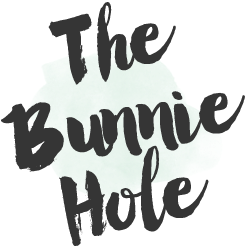 But since it's much more fun to do to this together, Benefit is offering a Flawless Base Giveaway package to my readers so you can try it out with me! One lucky reader will get a chance to grab all three products in your choice of shades. Open to all residents of Canada. Absolutely customizable, you can choose your own product shades for your perfect match. Provided by Benefit Canada, they'll be the ones sending out your prize. Winners will be contact by me using your Rafflecopter entry email so make sure it's current. I will also announce the winner via my Facebook and Twitter. I've made entering easier by putting all the details in this Rafflecopter widget below, just follow the steps for your way to flawlessness. For all you readers who live in the Vancouver area, here's an extra surprise tidbit. Benefit will be hosting a Where's Wendy event this Thursday July 11th in which Wendy (dressed in her lederhosen finest, see image below) will be running about town and stopping by special locations to share her flawless secrets. You say beauty fun never comes here to the Westcoast? Well here's your chance! You can follow Wendy's whereabouts via @BenefitCanada on Twitter #WheresWendy on Thursday, join the convo and be entered to win some special samples of their products. And hey, if you happen to see Wendy around town, she'll have some goodies for you as well so mark your calendars this week and chase the pretty girl in the green lederhosen! Definitely wearing a face and eye primer for sure! I'm lucky that I don't get too oily during the day nor do I ever need to be in makeup for 15 hours, but it's good to know that there is a product out there that can make that happens! I like using a face primer under my makeup and a powder over the top to set it. I use blotting papers through the day for shine. Always start with primer and end with a setting spray...and carry blotting papers with you! Hydrate the skin and applying a setting powder. face primer and a setting spray is a must for summer makeup to stay put all day long. sunscreen, primer and a setting spray! A good primer, foundation, and finishing powder. I like setting sprays like urban decay all nighter spray. Bb cream and a good translucent powder!!! Use oil blotting sheet to absorb any excess oil. Oil blotting sheets is the way to go, especially with oily skin! Apply using a damped sponge! I've always wanted to try Benefit products! A good way to get through a day is to not touch your face too much, and if you do, make sure your hands are clean, especially when you first apply your makeup in the morning. omg! :D WOW!! :D How cool! I love giveaways! I believe longer makeup definitely need primer...its like a painting. you prime your canvas first. :D Then a finishing spray. Just like I do my paintings. :D EXCITING!!!!!! Primers are indispensable.I'll pick a long lasting foundation and a oil-control powder. Lastly, a setting spray from NYX. Carry a facial mist to spritz on my face when it needs a hydrating boost. Or use it as a setting spray before or after putting on makeup on my face. Make sure you start off with a primer and powder your face! Primer, and a setting spray do wonders for keeping my makeup flawless! Skindinavia setting spray is a must for me!!! It keeps my makeup fresh from morning until bedtime! waterproof mascara...no one wants running mascara . a great setting powder will add hours to your foundation. For me, less is more for a long lasting base. I like to use a light layer of a long lasting foundation, and touch up with powder throughout the day. This keeps me from getting oily or cakey! A finish spray is a must to stay flawless for 15 hours! Clear mascara over black mascara helps keep it flawless longer. Also, think simple and straightforward if you have a long day! For me it's not putting on too much base products so it's not too heavy, along with some powder! Touch up my makeup throughout the day with blot powder. I use a good matifying toner ... primer BB Cream or foundation ...setting powder on my T zone ... at times a setting spray. I tend to use blotting paper to absorb any oil throughout the day to evening ...with a light re application of powder. I always moisturize very well before applying makeup. It prevents my skin from producing excess oil! definitely use a primer on the face before putting on foundation and maybe top off all the makeup with a setting spray! Keep my hair up out of my face and keep hydrated with cold water all day so i don't start to get sweaty! I always use "porefessional" and then set my make up with a powder. I love benefit!! Since my work day is 12hr, I can not leave the house without face primer and eye primer. Those two combined help me set my makeup for the whole day and I don't have to worry about eyeliner running or foundation smudging. I might look a little dewy in the end, but at least my makeup has stayed put! Definitely need a long lasting face primer for those days! Moisturize well, and spray it with some setting spray so it doesn't melt away! Using a primer & oil blotting sheets! An oil-free primer, good setting powder and blotting sheets are necessary for me in the summer! I love the benefit products! Primer and a good setting powder usually does the trick for me! I go basic in the summer, I usually just use moisturizer sunscreen mascara and eyeliner. I tend to use foundation and primers at night if im going out. Primer definitely helps your makeup last. Blotting sheets are great during the summer! Keep it as simple as possible, and don't keep touching your face! Mineral based powders help and I always use a moisturizer with sunscreen. Biore Sunscreen, lancome primer, skin 79 orange bb cream, and a setting powder. then blotting papers all day!! I think the trick is in using lighter products! Switch from foundation to bb cream/cc cream/tinted moisturizer, keep eye make-up simple, and opt for a lip tint or a tinted lip balm! I would apply the Benefit Porefessional primer after applying a light moisturizer or emulsion. Then I would put on a thin layer of Estee Lauder Double Wear foundation and set it with The Body Shop All-in-one face base powder. I like to use a setting powder like Rimmel's Stay Matte! I always like to use my mineral sunscreens to help me stay protected from the sun and matte! I use primer and blotting sheets! I always use sunscreen and sometimes I wear a sun hat. I like to use a face mist to refresh myself when my face gets all gross from the weather. I use sunscreen that is sometimes tinted (but not as much as a BB cream) then use a little bit of oil-control powder to not look too shiny throughout the day. powdering. unfortunatly staying flawless is still a long term endeavor for me. I currently use a makeup setting spray! It does an OK job but a primer (used for special occasions) usually makes my makeup last a whole lot longer. 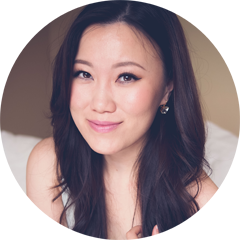 I use rice paper blotting sheets and sometimes, extra powder. Use a lot of powder to set it. Using a primer then a foundation, and then apply powder and than setting it all with makeup setting spray.